Nursing is the nation’s largest healthcare profession, with more than 3.1 million registered nurses practicing across the country and nursing students comprising more than half of all health profession students. With a projected 15 percent increase in employment from 2016 to 2026, the career outlook for nursing students is bright. However, keeping nursing students in school can sometimes be difficult. Nontraditional students of diverse backgrounds can find these programs challenging, especially when they don’t feel successful in their learning. With the knowledge that students learn differently—and bring a diverse set of personal experiences and circumstances to the learning experience—it’s not always easy to gauge how personal limitations or struggles are affecting individual students. But all students can benefit from individualized feedback rooted in meaningful data from categorized information about their coursework and exam results. The key to keeping retention rates high is providing students with helpful and timely performance feedback. When students understand how they are performing not just in an overall courses but also within specific topics or course outcomes, they can better direct their studying and prepare themselves accordingly. However, aggregating the detailed information that students crave can be time consuming and difficult. This is where an assessment software can prove to be beneficial. By tagging exam items to categories that your program would like to measure—course or program objectives, student learning outcomes, accreditation standards, or even teaching methods—performance data can be compiled on those categories, and reports illustrating this performance can be easily distributed. This type of immediate and highly detailed feedback helps students in several ways. This process provides nursing students with a clear and concise illustration of their performance within specific topics. While they might be doing well overall, extra attention could be warranted within a specific topic that will help them perform better throughout school, as well as on the NCLEX. By having this information from day one (instead of halfway through the semester or at the end of a year), they’re able to direct their study efforts where needed and not waste time on content that they have already mastered. On top of providing feedback directly to students, an important part of the retention process is making sure this feedback goes to faculty and that they work with students directly on remediation efforts. Not all nursing students are as adept at self-directed study as they should be—this is where guidance from faculty comes into play. With faculty receiving reports not only on individual students but also on overall cohort performance, faculty are able to step in to assist with remediation assistance. Helping guide students through their study efforts obviously helps with retention, but on top of that, the sheer act of engaging with a nursing student on an individual basis also makes a tremendous impact. When you couple this personal interaction with a powerful tool like individualized performance data, nursing educators now have the ability to influence students and their achievement going forward. For nontraditional students especially, this targeted and helpful feedback can prevent a slip in their progress within a program. Keeping nursing students informed of their progress and also engaged in the process of learning are both key to high retention rates. The catalyst for this entire process, however, stems from the ability to categorize exam items and then run real-time reports to provide detailed and timely feedback to all parties involved. Students become engaged learners when they feel empowered and know how to work toward their own success, and faculty are more successful at guiding them with hard data on their performance. 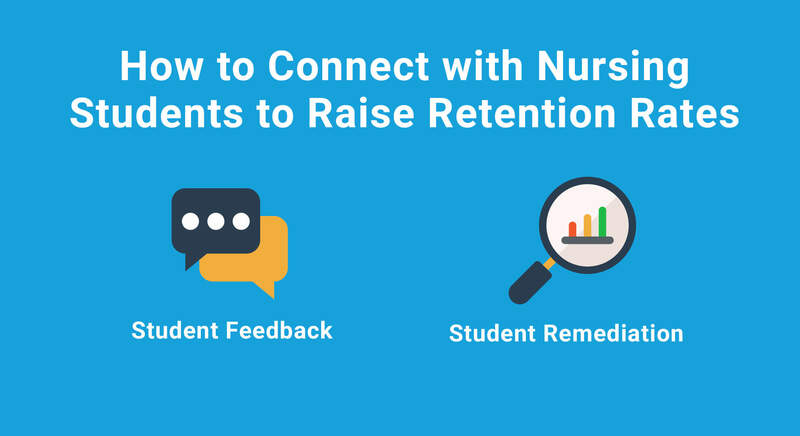 Are you ready to help your nursing students achieve their academic goals and thus raise your program’s retention rates? Learn more about how an assessment tool like ExamSoft can help your program connect with nursing students to help them go on to be successful practitioners in their field.